Fiat Chief Executive Sergio Marchionne, who also heads Chrysler, told investors in May that the use of weight-saving aluminum at Chrysler "is better suited in other vehicles than pickup trucks." 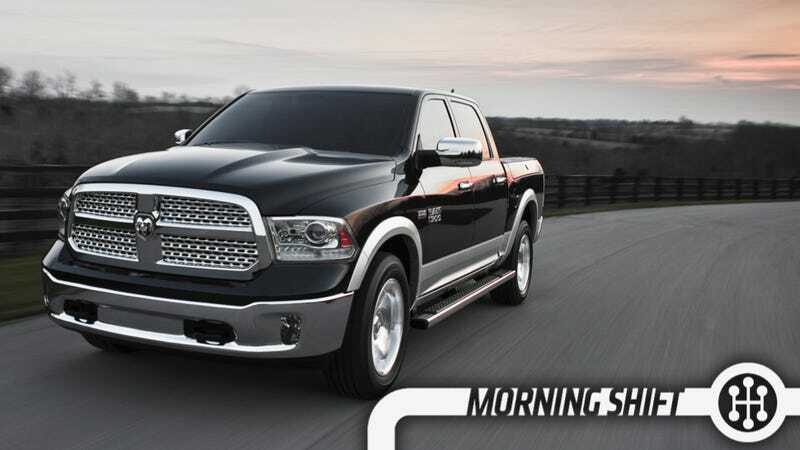 While RAM has done some clever things to save fuel, including the great diesel six-cylinder option, I think that this is probably a short-sighted view. The biggest automotive supplier of aluminum, Novelis INc., is pretty much convinced that automakers are going to buy three times as much of the lightweight metal as they do today. I mean, F-150, duh. Shipments of automotive aluminum may climb to as much as 25 percent of total sales by 2020 from the current 9 percent of 3 million metric tons, Novelis Vice Chairman Debnarayan Bhattacharya said today in an interview in Mumbai. The share of beverage cans, which are less profitable, will fall to 50 percent from about 60 percent. A4s are way sexier than Coke cans. Well, S4s at least. 3rd Gear: Ford Recalled 600 Focus/C-MAX Hybrids Over Steering Gear The best recall is the one that's issued before the cars get sold to anyone, so good news for prospective Ford Focus/C-MAX Hybrid buyers who didn't end up with one of the 600 cars that didn't get enough ball bearings. Per The Detroit News, the lack of bearings in the steering gear could result in a loss of control. Also, if you were thinking of buying a Ford Focus Hybrid just buy an EcoBoost Mustang instead. Just to be safe. 4th Gear: Then They Come For The Lawyers There's been some back-and-forth as to how much executives at GM knew and when the knew it, but many people seem to be of the opinion that the legal team knew enough to at least possibly be held liable for a coverup. At least, that's what federal investigators seem to be looking into. I mean, if someone has to take the blame, why not the lawyers? The review of current and former employees is part of a larger criminal investigation into possibly misleading statements the company made to regulators about a faulty ignition switch used in 2.6 million Cobalt and other small cars. The probe covers matters stretching back a decade and is being conducted by the Federal Bureau of Investigation and the U.S. attorney's office in Manhattan, said the people familiar with the matter. Prosecutors are under pressure from lawmakers to hold executives at GM responsible for the long-running product defect, which the auto maker has linked to 54 accidents and at least 13 deaths. Fun times at GM continue. 5th Gear: Why Mary Barra Is The Exception, Not The Rule An interesting Bloomberg report finds that, while women are getting into the floor of companies, they're in positions like legal or HR that rarely lead to the CEO job. The only way to get more female CEOs is to get a conscious effort within corporations to spot future leaders early in their careers and push them toward operational jobs, according to labor experts. Boards also need to be more aware and pro-active: They need to groom more female presidents, chief operating officers and heads of units who will, in turn, become role models for the next generation. In other words, more Mary Barras. An engineer by training, the 52-year-old spent more than 30 years at Detroit-based GM, which entrusted her with increasing responsibilities, including plant manager and vice president of manufacturing engineering. On August 22, 1962, President Charles De Gaulle of France survives one of several assassination attempts against him thanks to the superior performance of the presidential automobile: The sleek, aerodynamic Citroen DS 19, known as "La Deesse" (The Goddess). Neutral: Should All Light-Duty Trucks Go Aluminum? Or will RAM win by not playing the game?